UK Wedding Industry Awards - Best Band! Hip Operation - THE party starters! As seen on Emmerdale Live 40th Episode! Don’t just take our word for it. Read our Facebook visitor posts, and you’ll see that EVERYONE loves the band! Hip Operation have won the Best Band / Entertainment Category at the National Wedding Awards in London. After winning the regional prize the band went on to win the national award too. The judging process was largely based on client comments received by the judging panel. This is the very best recommendation for any future clients and a firm acknowledgment from wedding industry professionals at the level of service they provide. A six to sixteen piece North East wedding band playing live music at weddings, functions and corporate events throughout the North East, Yorkshire, Scotland and across the UK. They are one of the the most requested wedding bands in the country and have played thousands of UK and International gigs. It has been quite a year. After being asked by ITV to perform on the live 40th episode of Emmerdale, Hip Operation have also appeared a number of times for the Jordanian Royal Family, becoming their first choice for family celebrations, which re-enforces the acknowledgement of our high standards and service. Hip Operation have recently worked with Ant and Dec on a celebration for the Donnelly family and played at Alan Shearer’s 40th birthday party. The band’s stellar performances at weddings, charity balls and corporate events have gained national recognition receiving fabulous accolades on the Chris Moyles show and other national radio stations. Band of choice for the stars! These including weddings for major sporting stars, awards ceremonies, post conference parties, charity balls and key corporate events such as the Coronation Street 40th Anniversary. This popular live band has appeared on the same bill as many household names in the entertainment world. Hip Operation is proud to be on the recommended supplier list of the majority of prestigious venues in the North. We are very pleased to announce that Hip Operation have been shortlisted for the 2019 UK Wedding Awards. Popular wedding website hitched.co.uk are looking for a standout Wedding Musical Act that has the wedding party singing their praises! 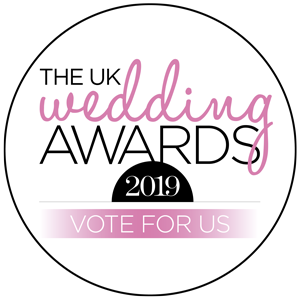 We would love it if you could take the time to vote for us, whether you’ve already had the band at your wedding, seen us at a friend’s party, or have just looked at the website and are about to make a booking enquiry. Click here to go to the hitched.co.uk awards page - thank you! Like What You See? Check price and availability now! Hip Operation play weddings, corporate events and private parties. Delivering top quality live entertainment in a wide variety of musical styles, from party music to big band, soul music and the best in wedding music. The band are based in the North East, often playing in Newcastle, Teesside, Durham, North Yorkshire and Northumberland, though they play regularly across the whole of the UK to audiences in London, Glasgow, Edinburgh, Manchester, Liverpool, Leeds, and York. Hip Operation are a professional act, with a dedicated state of the art lighting system and sound system which can be scaled up or down depending on the size of your wedding, corporate event, Christmas party or function. They are a wedding band, function band, corporate event band and party band all in one, delivering no-compromise entertainment, whatever the event – tailored specifically to your needs and those of your audience. We guarantee you a unique, exciting, energetic and fun event.